With relativity and quantum mechanics, antimatter was part of the general framework . . . of modern physics. The reputation of a physicist can be built upon a body of work so important that it defines a field of research and influences all other investigators in the field. Or a physicist may write one paper that is so prominent in a domain of research that the identity of the physicist becomes linked to that epochal paper. Although the British physicist P. A. M. Dirac wrote many important papers, starting with his first paper on quantum mechanics in 1926, it is his paper on the electron, published in 1928, that comes to the minds of nearly all physicists when Dirac's name is mentioned. This paper, "The Quantum Theory of the Electron, I" is one of the great papers of twentieth-century physics. The theory Dirac refers to is quantum mechanics, which did in fact provide the formal and conceptual frameworks for both the analysis and synthesis of atomic structure. However, when quantum mechanics was created by Heisenberg and Schrödinger in 1925, one basic property of the electron, discovered in October, was certainly unknown to Heisenberg and probably to Schrödinger. This property of the electron is its inherent angular momentum, or spin, which makes it behave like a tiny bar magnet possessing a magnetic moment. The electron's spin exhibits itself when the electron is in a magnetic field as the spin, or magnetic moment, orients itself either in the direction of the magnetic field (parallel to the field) or in the opposite direction (antiparallel). The energies associated with these two alignments, parallel and antiparallel, are very slightly different; thus, the electron's spin has the effect of splitting a single energy state into two slightly different energy states, and two spectral lines are often observed instead of a single line. Since it requires fairly good spectroscopic equipment to observe the effect of the electron's spin, it escaped notice early on. In any event, this is the "duplexity phenomena" referred to by Dirac. As soon as quantum mechanics was developed, physicists faced the challenge of integrating quantum mechanics and relativity theory. Heisenberg and Pauli, along with others, tried to achieve this unification, but their approach was reminiscent of Sommer-feld's effort to bring relativity into Bohr's model; namely, relativity was treated as an add-on, grafted onto quantum mechanics rather than springing from the roots of the two theories. Dirac, who had been fascinated with the theory of relativity from his youth, had something different in mind. Dirac wanted a synthesis of relativity and quantum mechanics founded on the general principles of both theories. Dirac attended the Solvay Conference in Brussels in October 1927 and upon his return to Cambridge, he focused his attention on bringing the two great physical theories together. Paul Dirac was a unusual person. Perhaps because Dirac's fa ther demanded that his young son use French rather than his native English to converse with him, the young Dirac adopted the habit of silence during his childhood simply because he could not express his thoughts in French. Whatever the reason, the adult Paul Dirac was a man of silence. Dirac's silence was so intense that it inspired a little levity among physicists. In physics, the units given to physical quantities like time or length are important. Physicists, clearly in jest, have defined the unit of silence as the dirac. Stories about Dirac are legendary. In one, when a comment was made after a Dirac talk, Dirac said nothing. Finally, after the silence continued to unbearable lengths, the host asked Dirac if he had a response. Dirac's reply was that no question had been asked. He was exacting in his response to words; he was also precise in his use of words. He once said to Bohr that one should not start a sentence unless one knows how it will end. He crafted his sentences with such care that when he was asked a question, he would often repeat the same sentences in the exact same words he had used earlier (see Figure 9.1). With mathematical beauty as a guiding principle, Dirac began his effort to bring the theory of relativity and quantum mechanics together in October 1927. By Christmas, he had succeeded. Dirac imposed severe demands on his work as he set out on his quest for a wave equation for the electron that satisfied the demands of both relativity theory and quantum mechanics. He wanted no arbitrary assumptions to clutter the logical path from his starting point to his end result. Of course, there were intellectual struggles that Dirac had to work through. One particular struggle occurred when Dirac attempted to use Pauli's formal description of electron spin. The principal breakthrough came only when Dirac realized that Pauli's formalism was imposing an un-needed restriction on his thinking. When he relaxed this limitation, he arrived rather quickly at the desired result—a wave equation for the free electron. 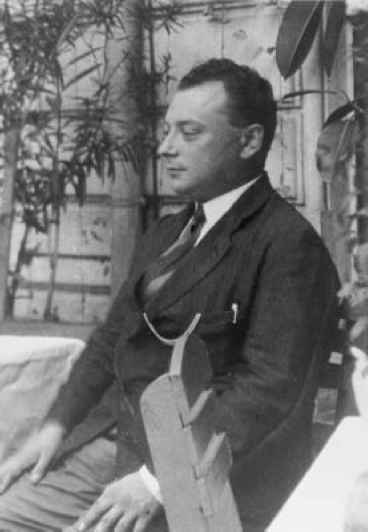 His paper, "The Quantum Theory of the Electron," was received by the editors of the Proceedings of the Royal Society on January 2, 1928 and was published one month later. Often the work of a first-rate scientist contains more than intended, more than planned, more than anticipated. This was the case with Dirac's theory of the electron: unexpected results fell out naturally from his theory. One result of Dirac's work was certainly planned—a result that would have doomed the theory had it not been achieved. Coming out of Dirac's theory, as a natural consequence and with no arbitrary assumptions, was the fine-structure formula that Sommerfeld had derived thirteen years earlier. However, Dirac's theory did much more: it gave the correct energy states for the hydrogen atom complete with the spectral fine structure that results from the spin of the electron. As Helge Kragh, Dirac's biographer, states, the spectrum of the hydrogen atom was "a showpiece for the Dirac equation. "4 We shall see in Chapters 15 and 16 that the hydrogen spectrum still presented challenges, but in 1928, the Dirac equation passed a crucial test with its successful treatment of the hydrogen atom (see Figure 5.3). Another very important and totally unexpected result came from Dirac's integration of relativity and quantum mechanics. This result was not only unexpected, it was so troublesome that in spite of the awe Dirac's paper generated, physicists' response was tempered by this bizarre result. The result arose because Dirac's equation accounted for ordinary, negatively charged electrons, but the solution of the equation also inferred some kind of positively charged particles. These "positive particles" were given various interpretations over the three years following publication of Dirac's paper. One interpretation advanced by Dirac himself was that the "positive particles" were holes among electrons. Such holes, he reasoned, would appear to be positive in "the sea of negative electrons." Later, Dirac identified the positive particles with protons, but J. Robert Oppenheimer showed that such an interpretation was untenable. Finally, in May of 1931, Dirac introduced the idea that the positive particle coming out of his equation was a positively charged electron—an antielectron. In a paper published in 1931, Dirac wrote, "A hole, if there were one, would be a new kind of particle, unknown to experimental physics, having the same mass and opposite charge of the electron. 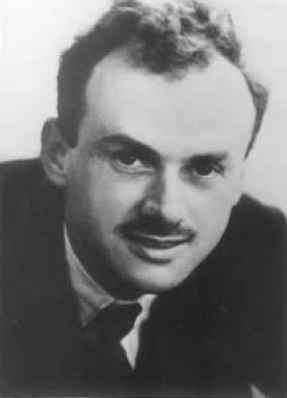 "8 During the following year, Dirac's "new kind of particle" was discovered by Carl Anderson at the California Institute of Technology. The new particle, which came to be called the positron, was the first antiparticle discovered. More significant, the discovery of the positron brought recognition that antimatter existed more generally. Dirac did not actually predict the existence of the antielectron. He did not call for physicists to set up experiments designed to discover the positron. It can be argued that it would have been out of character for Dirac to give voice to a prediction. True to his character, he was silent and quietly waited. Many physicists would have called attention to their work by making a prediction, but Dirac was not concerned about the actual existence of the particle that was suggested by his theory. His sense of fulfillment came from the beauty of the theory itself. Thanks to Dirac's electron, it is now recognized that all the particles that make up the universe have antiparticles. The existence of antimatter was another unanticipated result that fell out of Dirac's prolific equation. It is a wonder that mathematics can be used so powerfully to express the content of nature's laws. Mathematics is a product of mind and is independent of the outside world; thus, mathematicians can create great new mathematical systems without any thought given to planets revolving around stars, light passing through a prism, atoms combining into molecules, molecules working cooperatively in an amoeba, neurons firing in the brain of a youngster, or a physicist reflecting on why mathematics works as it does to express the laws of nature so efficiently. Sometimes the mathematics is quite simple; other times it can be very abstruse. This mysterious relationship between mathematics and physics prompted James Jeans to suggest that the Great Architect of the universe is a mathematician. From the solution of this little equation come details about the hydrogen atom, the spin of the electron, and the existence of antimatter. Poets bring us fresh insights with the right sequence of words; Dirac brought us fresh insights with the right sequence of symbols. Dirac dreaded more than reporters. He avoided them whenever possible. He even managed to avoid the press in 1933, one year after the discovery of the positron, when he and Schrödinger were awarded the Nobel Prize. Dirac's prize was given in recognition for his role in the creation and development of quantum mechanics. In announcing the prize, a London newspaper described Dirac "as shy as a gazelle and modest as a Victorian maid. "9 The London reporter said it just right.